Personally I think ‘Wickfield’s wife: Beth, deserves more of a mention too, because, to give credit where it’s due, she is obviously a very astute lady, who knows a thing or two about puzzle solving and is someone her husband seems to rely upon quite heavily, especially when he’s stuck for answers. If a reader is allowed to put his four-pen’orth in, I think the author should ignore Beth at his peril-a woman scorned and all that! But to get back to the plot, a young girl has the tantalising memory of hearing her father’s killer speaking, moments before he commits the dastardly crime. Many years later, the girl is still haunted by this voice and then, quite by chance she hears it again. 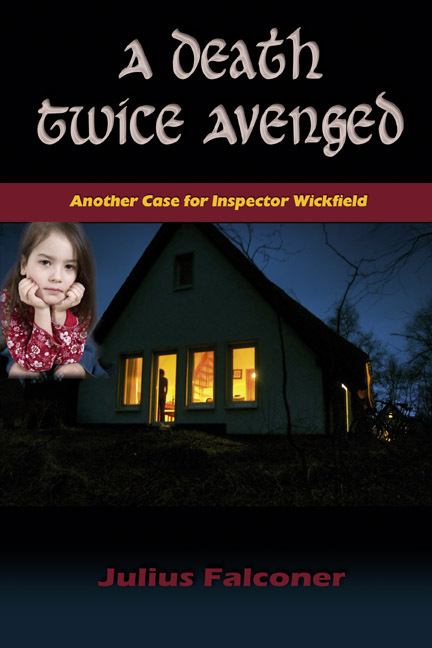 Thus sparking off a chain of dark events and dirty deeds, that leads to the full-time involvement of our indomitable Worcestershire sleuth. Written in a very stylish, British way, I’m sure both Wickfield and his creator will be vying for honours and by now have bucket-loads of dedicated fans.